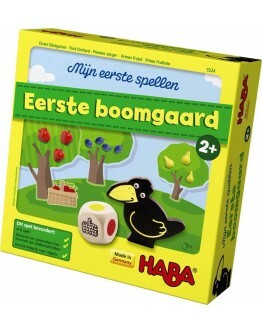 Haba educational, responsible toys, games, blocks and marble courses. Wide range - good service - fast delivery - buy therefore at Grote Schatten! The spring garden is already full of colors. 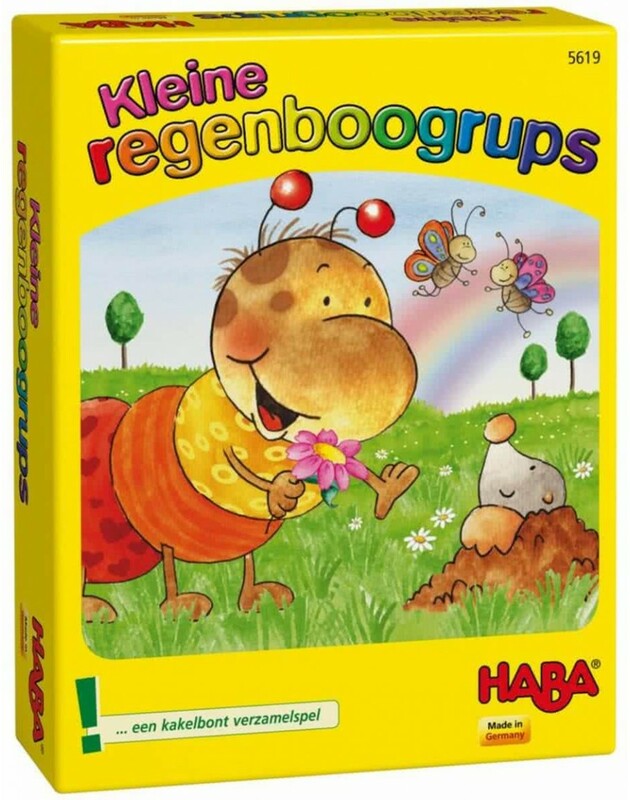 The birds chirp, the butterflies flutter and everyone wants to play with the little rainbow grub. Who has put all the pieces of his rainbow grub first? 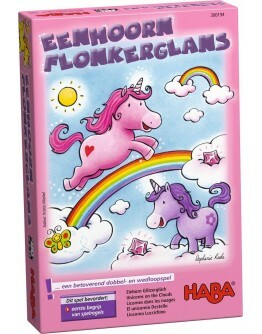 In this box you will find, among other things, one color die, 4 card sets rainbow suit - 8 cards per set. 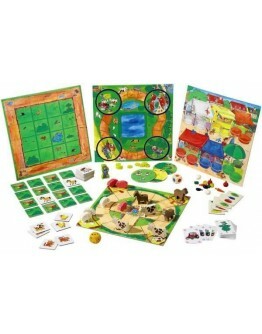 Haba - My first educational play zooWelcome to the educational play zoo! 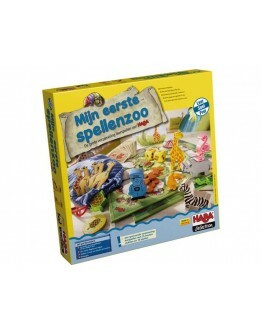 Here you will meet not only zookeeper Tim and his curious animals but also many fun ideas for educational games! Be it finding animals by touch, helping the giraffe detectives, or searching for colorful chameleons. 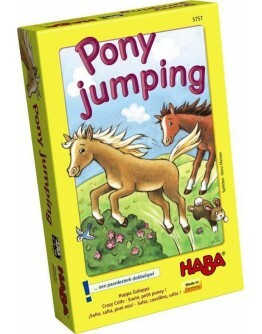 Ten different games all about the zoo will address different educational topics such as counting - quantities - tactile skills - recognizing colors and shapes - first arithmetic - as well as concentration and mem..
Haba - Pony jumping The four ponies are real small and wild horses. No obstacle is too high and no stream them too wide. 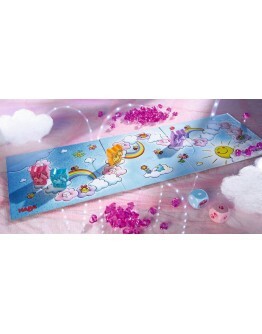 The players help their ponies on one or more hurdles to jump according to the dice on the dice. Who jumps first on the last hurdle? 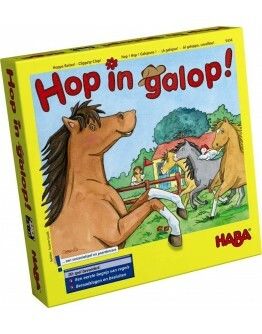 A horse strong dice game! 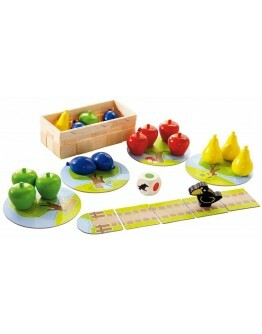 From 4 - 99 y Players 2 - 4Size box 11 x 18 x 4 cm ..
Haba - Orchard memo gameThe naughty will take away all the delicacies. Collect all the fruit by turning the fruits matching the color. 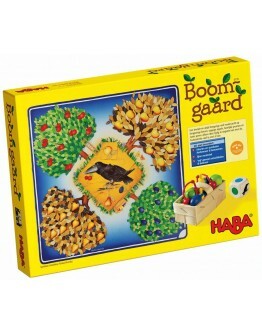 The purpose of this Haba memo game is to collect all the fruit before the raven takes away all of you. 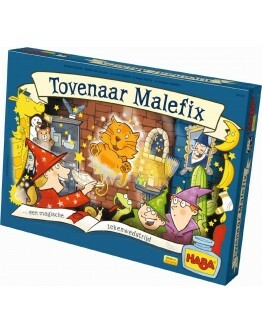 A cooperative memo game with simple rules, adapted to the age in order to play as fast as possible. From 3 to 99 years For 1-4 players Dimensions box 12 x 18 x 4 cm..
Haba - My first game boxThis collection of games brings together the most beautiful games in one box! 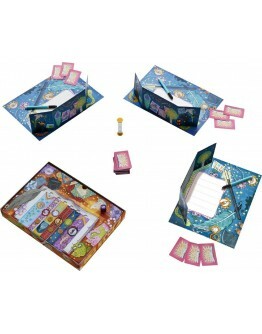 10 game ideas with simple rules and short playing time ensure a successful introduction to the world of games. Classic, cooperative or exciting board or memory or card games, time flies by any means. 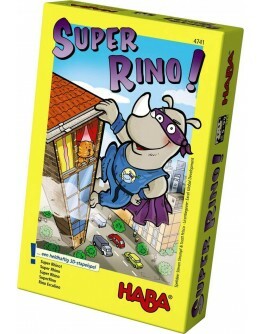 This game promotes - develop and experience the feeling - understanding of first rules - recognizing colors and shapes - memory From 3 to 12 years For 2-6 players Dimensions box 34 x 7 x 34 ..
Haba - Super RinoSuper Rino is back on the road. The super cool hero climbs high and without fear on high and looks for all the bandits he can find. He is super strong but also very cunning, like a fox, and angry yes he can be like the rhinoceros. That also shakes the strongest apartment blocks. It would be mega cool if you want to help Super Rino fulfill his mission and build the highest scrapers as well and as strong as possible? 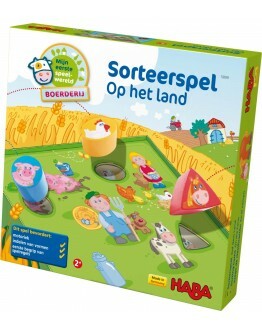 A great 3D stacking game. 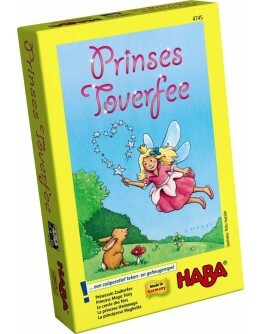 From 5 to 99 years For 2-5..
Haba - Super RinoPrincess Magic fairy and her friends make beautiful aerial drawings with her magic wand. Be careful, because hocus pocus pats, when the fairy fairy starts to conjure with her staff, a gnome sneaks around with excuses to steal all magic pictures. Concentrating is the task of playing gamers if you want to win this match! 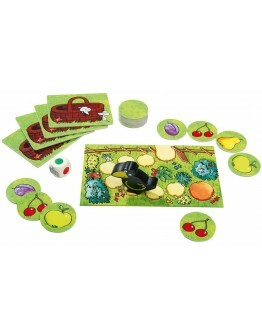 A cooperative drawing and memory game From 4 to 10 years For 2-4 players Dimensions box 12 x 8 x 4 cm..
Haba - OrchardA fun and cozy family or party game, here you have to pick the tasty cherries, delicious apples, pears and plums from the orchard. You have to do this just before the hungry raven does this and pulps everything himself. It is therefore the intention that all children work and play well together. 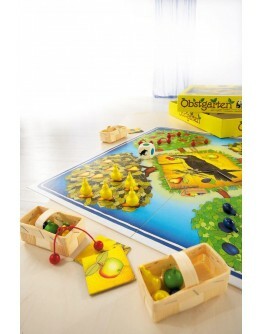 The colored wooden fruit, the baskets and the brightly colored game board give an extra boost to the game. A cooperative memory game. 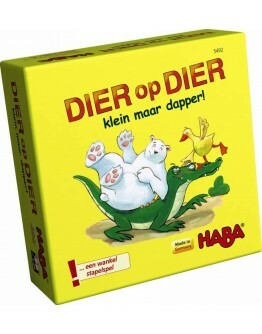 This game promotes-recognizing and naming..
Haba - Doctor's suitcuisePractical and beautiful metal case for doctors, with this you release all your aches quickly and easily. One, two, three and the pain is gone! 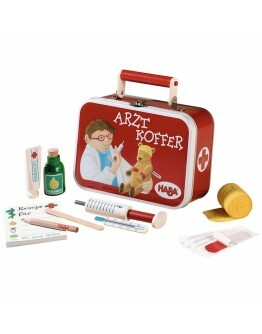 In this doctor's bag you will find a case with 1 thermometer, 1 syringe, 1 dressing and 1 recipe booklet, 1 plasters, 1 pencil and pills. From 3 years Dimensions box 32 x 16 x 5 cm..
Haba - Animal on animalHaba - Animal on animal This animal pyramid is really a very unstable affair! 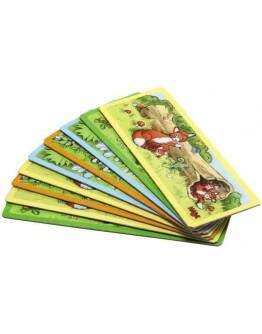 Only those who with a fingertip feeling stack the animals in handy, win the game. 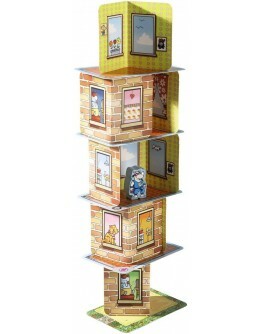 An exciting but shaky stacking game! This box contains 13 animals, including 2 kangaroos, 2 frogs, 2 ducks, 2 hedgehogs, 2 butterflies, 2 polar bears and a crocodile. As well as 1 dice with symbols. From 5-99 years For 2 players Dimensions box 10 x 10 x 4 cm..
Haba - Small OrchardWhat is that fruit from the orchard still tasty. 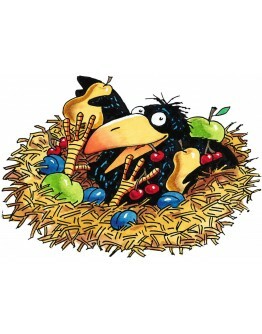 But oh dear, the cheeky raven is trying to steal the fruits! Can you harvest the fruit before the raven gets it? 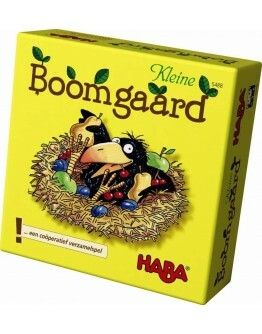 A cooperative gathering game. 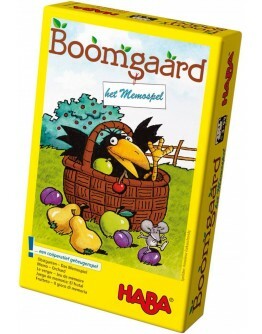 In this box you will find a raven, a game board, 12 fruits and one die with colors and symbols. 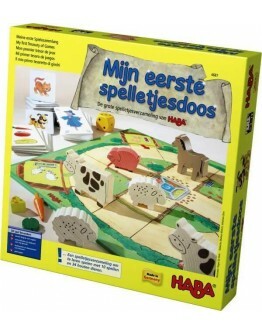 From 3-6 years For 1-4 players Dimensions box 11 x 11 x 4 cm..
Haba - Kling Klang forestEvery animal plays a musical instrument in the kling klang bos. Only mouse Mia has not yet been able to decide which instrument she would like to learn to play. That's why she goes to all her friends to try out the instruments. 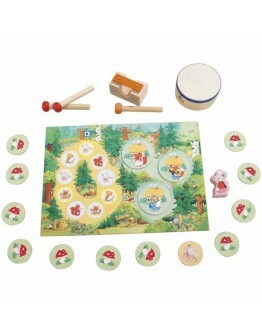 In five varied games children become familiar with simple rhythms and different sounds. 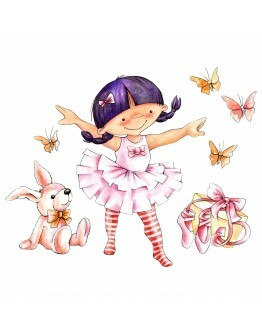 Moreover, their feeling for music, creativity and imagination is stimulated. A game collection with music in it. 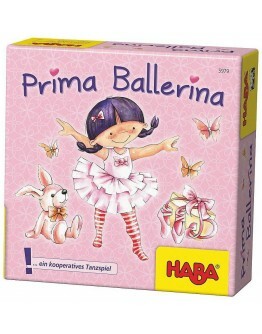 This game promotes - Free game ..
Haba - Prima ballerinaDid you always want to dance ballerina and ballet? Well, come on! Together you can now practice the different positions and if you have mastered them, the big screen goes for the new fine ballerinas. A cooperative dance game. 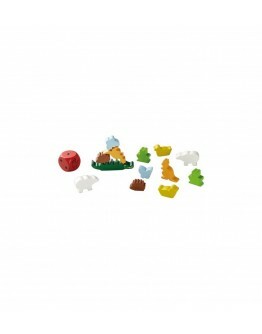 From 4-8 years For 2-6 playersDimensions box 10 x 10 x 4 cm..
Haba - On the farm sorting gameHaba - On the farm sorting game Which animal belongs to which stable? Little explorers find out by the shape of the wooden pieces. 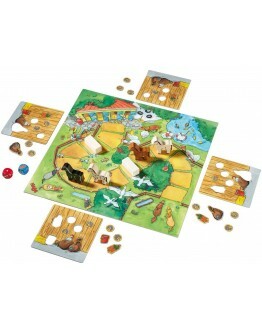 Two different game boards and the extra dice game provide a lot of variety and a lot of fun. A beastly cheerful sorting game. 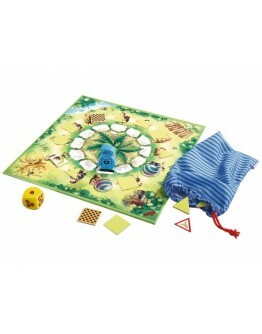 In this box you will find 8 wooden pieces, 1 dice and 2 game boards. 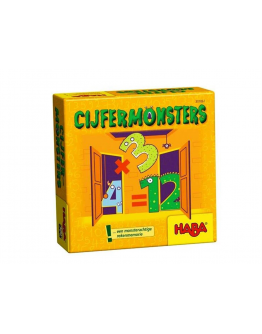 This game promotes - motor skills - lay out shapes - first understanding of game rules From 2 years For 1 - 4 players Dimensions..
Haba - Number monstersHelp! Attack by the number samples! Those who have a sharp mind and a good memory can easily catch them. 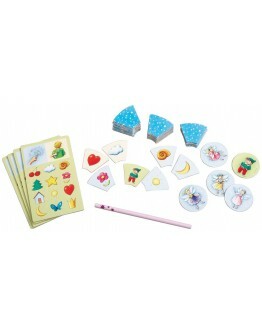 The aim of the game is to make a calculation with the correct outcome with three digit sample cards. In this box you will find 36 digit sample cards, 16 calculation chips in 4 colors, 1 manual with game rules.From 4-8 years For 2-6 playersDimensions box 10 x 10 x 4 cm..